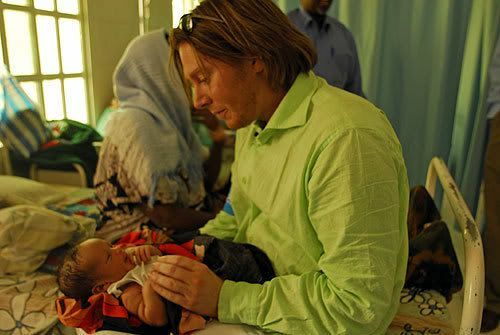 On June 25th, 2008, it was announced in the news that UNICEF Ambassador, Clay Aiken was in Somalia. Somalia is a country where conflict and hunger have created one of the world’s worst humanitarian crises. Clay traveled to Hargeisa, Gabiley and Baroma located in the northwest region of the country, known as the republic of Somaliland. The area is a relatively peaceful area that has declared itself independent but has not been recognized internationally. 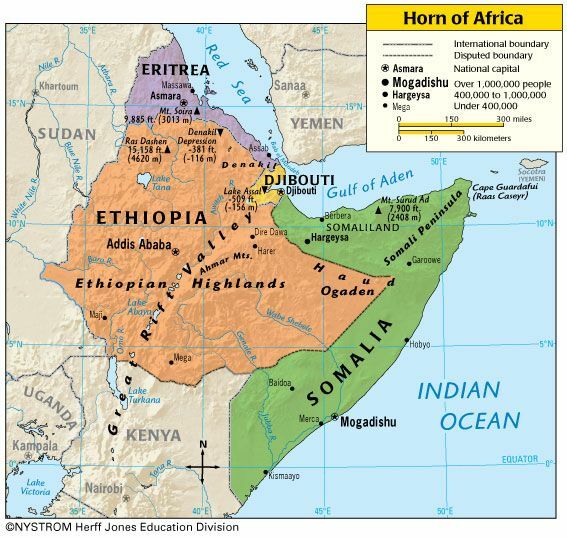 Somalia has suffered relentless civil conflict since 1991 when the military dictator, Mohamed Siad Barre was toppled from his post. Some of the latest violence in the region has killed thousands and made over one million people homeless. It’s the most dangerous place for a child to be. In the lower part of the country, southern part, I feel it’s a more desperate situation than any other place we’ve ever been. According to UNICEF, Somalia is a country in which less than 25% of the population has access to basic health services, less than 30% attend primary school and only 29% have access to a safe water source. It is also a place where 98% of girls are circumcised and has amongst the highest maternal mortality rates in the world. Clay visited a camp for 1500 displaced families in Hargeisa. He met a young 11 year old boy who helped support his five siblings and his blind mother. He did this by collecting stones. He was able to save enough to pay for school which he attend each afternoon. A visit to the Somaliland Cultural and Sports Center was also a part of Clay’s trip. It is an enclosed facility where the girls are able to learn about health, acquire life skills and play sports. It was rumored that Clay even played a bit of basketball with the girls. Next on his list of visits was to the town of Boroma, where Clay saw how the town’s new water system was functioning. It was financed and built by UNICEF. Clay also visited maternal and child health clinics where nutritional feeding and immunizations are available. Now that I have seen Somalia for myself, I feel it is important for the American public to remember that the Somali people have the same dreams for their children that we do. The country is one of the most desperate in the world. Fortunately, UNICEF has always been there and continues to provide the support needed to make a difference. No other organization is more capable of making such a difference than UNICEF. Somali women and children have been living in the harshest of conditions for over two decades. Consecutive years of droughts and conflict have resulted in repeated crop failure, depletion of livestock, rising food prices, deteriorating purchasing power, eroded coping mechanisms and a perpetual state of emergency, with women and children bearing the brunt as the most destitute and vulnerable. While Somalia saw positive movement in terms of politics, humanitarian access and food security, the majority of children continue to suffer some of the most severe vulnerabilities and deprivations in the world. Many are still out of reach of UNICEF support. Unfortunately, there was no available video of Clay’s trip to Somalia. Clay did two wonderful short videos while he was there. The first was an informational piece on netting for beds. The other video was about the Tap Project. Both of those videos are available on this site. Look under videos and then UNICEF. Instead of repeating one of those videos, we are featuring a wonderful montage by SueReu that is about Clay and Somalia. I always love watching videos that use Clay’s singing voice. On April 20, 2015, four UNICEF workers were killed in a horrific attack as they were on their way to work in Garowe, Puntland. Five other UNICEF colleagues who were injured, continue to recover. I love when celebrities use their fame to help those in need! The video says it all with OMC; and his visits to worn-torn countries and telling the world of the need of these women and children! Bravo, Clay! Thank you CANN and SueReu! And to think that he would be holding his own baby several months later! He’s a very upstanding man! Not in it for the glory! I know Clay delt with many hardships while with UNICEF but thank God he came back to us safe. It must have been a very hard job to do. He is a good person to have spent so much time and effort helping these needy people. Thanks for posting. You’re the best musicfan. ❤️ UNCONDITIONAL love for you Clay. God bless America. Error: Error validating access token: Session has expired on Tuesday, 21-Aug-18 16:13:01 PDT. The current time is Wednesday, 24-Apr-19 01:07:15 PDT.